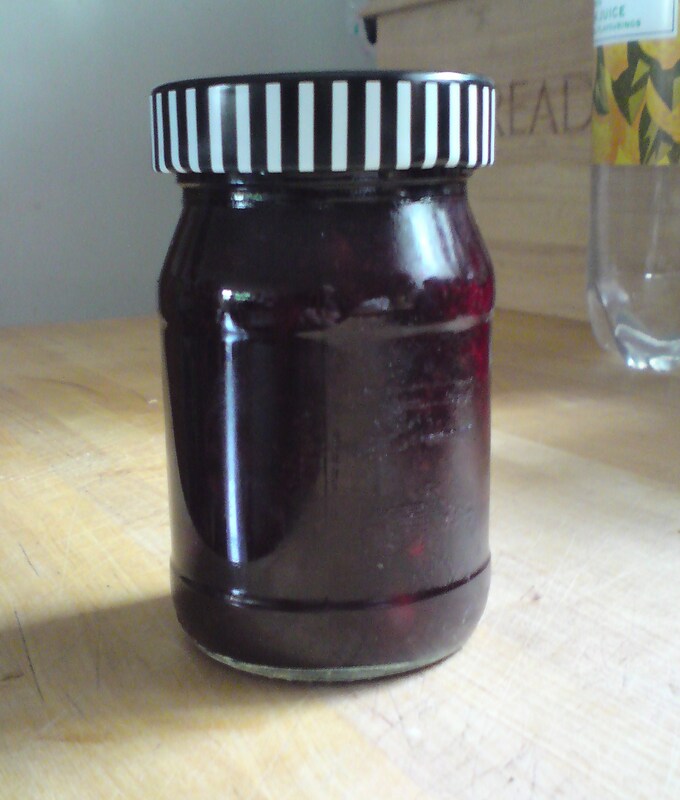 Made my first-ever jar of blackcurrant jam. I feel guiltily domesticated. RIGHT, enough now. This is England and it’s summer so it should rain. Properly rain. Chuck it down. Not this pathetic drizzle that does nothing more than make girls’ hair go fluffy. It’s been weeks since we had more than a smattering of a shower and the garden is struggling to cope. I’m getting some sort of workout lugging watering cans up and down the allotment but the clay soil is set rock hard. Much of the water isn’t penetrating very deeply, even when the planting hole is slightly bowl-shaped to hold it in place and stop it just running away. After last year’s wet weather we had stunning fruit and vegetable harvests. This year the fruit is looking small. My apple tree dropped all its applets, the raspberries are tiny. Strawberries gave up quickly and the beans aren’t producing as quickly as they should. They might need misting with a hand sprayer to help them along. My early spuds are ready, and the first lot I dug were horrible, all pock marked, part rotten and holey. Very disappointing. It could be slugs or scab (where the skin is, well, scabby, but the spud is still edible underneath) is common where watering is erratic. I’ve never had to water potatoes or raspberries before and I think it might be too late to start. Thankfully the third potato plant I dug had some healthy tubers. Not as many as I’d have expected but at least we’re eating something. The garlic has been picked and hung up to dry at home, the red, autumn-sown onions look fat and ready and the shallots have had a bumper year. I suspect I planted some too deep though, because as they expand, they poke up towards the sun and swell near the surface, whereas mine have become trapped and squashed by the rock-hard soil. When you do water, do it early or leave it until the evening. If you use a hose, use a spray attachment or the force of the water will just make deep holes around your beds and expose the roots. When you think you’ve given a plant enough, give it some more. Shallow watering is no good. Fill watering cans from water butts, empty paddling pools, washing-up and even bathwater, the plants won’t mind. I’m hoping for a massive downpour and a heavy shower every night next week. Last week’s appeal about how to harvest blackcurrants furnished me with lots of advice, thanks very much. This week I cut all the stems heavy with ripe black fruit and carefully removed the bunches of berries. Once home, I plonked them in water, separated off the leaves and stems, and then put the berries into plastic boxes and stuck them in the freezer. Once solid, its much easier to remove those fiddly flower ends (preferably while watching telly with a glass of something alcoholic to hand). Another wash, stick them in a big pan with a drop of water and preserving sugar and soon you have gooey, sweet blackcurrant jam (or jelly of you strain it). I’ve produced my first ever jars of blackcurrant jam. It’s so nice with scones, or swirled into cream and poured over meringues. Shame I’m supposed to be on a diet.. . .